For any website to achieve its goals, there is one critical thing which it needs to get right – it needs to attract the right visitors. It doesn’t matter how amazing the design, or how enriching the content, if your website can’t attract the right visitors, it is doomed to fail. Who are these “right visitors”? Well, they are the category of people for whom you created the website. For instance, for a website created to sell kids’ shoes, the right visitors are people who are looking to buy kids’ shoes. The easiest way to attract the right visitors is through search engines. It is no secret that most people use search engines like Google, Yahoo and Bing to look for information. Therefore, a basic starting point for drawing in visitors is to ensure that your website ranks highly in the SERPs. To achieve this, the website needs optimization. Website optimization is commonly known as Search Engine Optimization (SEO). It is a systematic approach used to improve a website’s rankings in Search Engine Result Pages (SERPs). The ultimate goal of optimization is to make a website more visible to search engines. Broadly speaking, website optimization takes one of two formats. The first is used for existing websites. It involves tweaking aspects like design, content, and back-links in order to make the website search-engine friendly. The second is used for new websites still at the design level. It involves integrating SEO into every aspect of the website. Either way, website optimization typically involves three things (1) understanding how search engines work (2) understanding how users search for info (using keywords) and (3) positioning a website to rank highly in the SERPs for specific keywords. 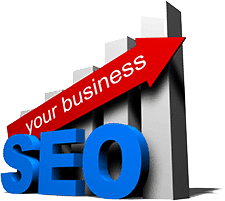 There are lots of SEO strategies which are used to achieve this. However, before getting looking at strategies, it is important to understand what search engines are looking for when ranking websites. 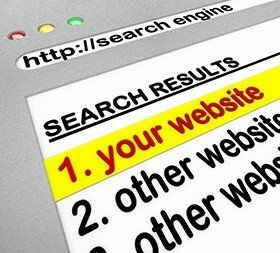 Search engines like Google and Bing have one major goal – to help users find websites whose content is most relevant to them. Without getting too technical, there are four aspects which search engines base on to judge relevancy. Content – is the content (text, pictures, videos) relevant to the overall theme of the website? Does the text, page titles and meta descriptions blend into a single, unified theme? Authority – is the content good enough that other websites link to it. Do other websites cite the content on the website? Performance – how fast does the website load in a browser? Does this loading speed cut across devices i.e. PCs, tablets and smartphones? User Experience (also known as UX) – how easy is it for users to navigate the site? Does the design make it easy for users to find what they are looking for? Does the website have a high bounce rate? The starting point of optimization is design. For a website to rank highly on Google, it has to be accessible across multiple devices (i.e. PCs, tablets and smartphones). For each device, it needs to load fast, and provide a great user experience. Its content must be formatted in a manner which is best suited for a specific device. This is typically achieved using responsive web design techniques. A website needs to be optimized around specific keywords. This is what will enable it to rank highly in the specific keyword searches. Keyword optimization is usually a two step process. The first step is keyword research. You need to know and understand how your target users search for info i.e. which keywords they use. You also need to understand how competitive the keywords are. Finally, you have to select which keyword phrases can make you most competitive. The second step is integrating keywords into your website content. The days of keyword stuffing are over. Over the past few years, Google updates such as Penguin and Panda started cleaning up spammy websites from its SERPs. As such, keyword stuffing can hurt your page rankings. The smartest approach is using long-tail keywords, and synonyms. Google’s Hummingbird Update has better semantic capabilities. As such, it can understand nuances such as synonyms. So, instead of repeating one keyword over and over again, you can use similar phrases, and make your content optimized. – proper use of header (h1, h2, etc) tags. The header tags should be used to indicate different levels of importance. The bottom line is that almost everything which is placed on a webpage has to be designed to make it easier for web crawlers to index it. Search engines typically rank websites on basis of the number of backlinks it has. They basically assume that if other websites are linking to your site, then your content is relevant. As such, a key SEO strategy is creating backlinks. This is sometimes referred to as “Offsite SEO”. – Great content: most websites will only link to sites which have something of value. – Press Releases: writing press releases through sites like PRWire and BusinessWire is a great way to create backlinks. 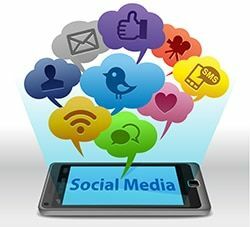 Social media is becoming increasingly important in SEO. As such, an active social media presence is an effective way of increasing search engine rankings. For starters, posting content on social media sites is an effective way of creating backlinks. Secondly, the Google algorithm now uses social media signals while ranking pages. This includes number of followers, level of activity and overall vibrancy of the social media presence. A large and active social media following indicates to Google that your website has something which people want. This ultimately increases your search engine rankings. Therefore, creating, maintaining and constantly updating pages on platforms like Facebook, Twitter, Google+, Pinterest and LinkedIn is critical towards boosting your websites search engine visibility. Website optimization involves many complex strategies. This makes it quite a chore. Balancing all the different aspects (i.e. design, keyword optimization, Onsite and Offsite SEO, etc) can be a pain – especially if you don’t have the technical expertise. Even for someone with “expertise” a single Google update can render your well thought-out strategies redundant. This is where website optimization services come in handy. Website optimization is complex, cryptic and labor intensive. Worst of all, it is an ongoing process. As Google updates its algorithms, you have to keep tweaking your website to stay relevant. Our website optimization service can save you from all the hustle. It can enable you to contract out the minute details to SEO experts, and let them do all the donkey work. You can then sit back, relax and watch as the right visitors flock to your website. If you are looking to hire website optimization services, our team of SEO experts can help! We’ll provide you with a customized service which can best suit your unique needs. Contact us right away by calling 303-200-1000 or you can reach out to us by email at sales@seozones.com, and let’s make it easier for your target visitors to find your website. If you would like us to evaluate your website to see why your site is seeing poor results in the SERPs, just fill out the form on this page and we can do that FREE of charge! Need to know if your website is mobile-friendly enough for the SERPs? Then check out our mobile-friendly test tool to see if your site passes or fails (according to Google).